One of my more recent posts had to do with doublets: word pairs descended from a single root, such as Spanish limpio ‘clean’ and límpido ‘clear, limpid’, both from Latin limpidus ‘clear’. As described in that post, the older member of a doublet typically shows the wear and tear of time in its sounds and its meaning. For example, limpio, which predates límpido by around 800 years (!!! ), took on a new meaning as it lost a syllable and changed its final vowel. An interesting exception to this pattern is the Spanish word pair respeto and respecto, both from Latin respectus. Respeto is older, as you can tell from the simplification of /ct/ to /t/. Respeto and respecto capture different aspects of the English word respect. 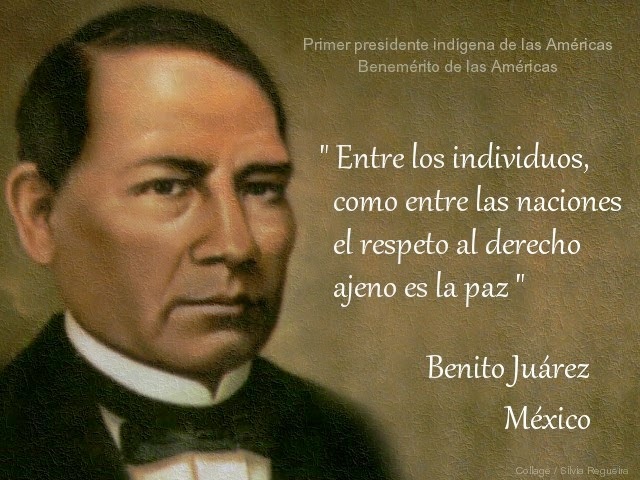 Respeto is a kind of admiration or consideration, as in Benito Juarez’s famous dictum Entre los individuos, como entre las naciones, el respeto al derecho ajeno es la paz ‘Among individuals and among countries, peace amounts to respect for your neighbor’s rights’. Respecto is limited to abstract uses like con respecto a ‘with respect to’ and a este respecto ‘in this respect’. Respeto/respecto differs from the typical Spanish doublet in that neither Spanish word preserves the core meaning of its Latin progenitor. According to my go-to Latin dictionary, respectus usually meant literally ‘looking back at’. (It was related to the Latin verb spicere ‘to look at, see’, the source of English words from conspicuous to introspection.) The word’s secondary meaning is listed as ‘refuge, regard, consideration (for)’. The meaning ‘refuge’ has been lost entirely, while ‘regard, consideration (for)’ could apply equally to either of the two Spanish words. Even though respecto is newer than respeto, and seems more recherché, it is actually the more common of the pair, at least in written Spanish: compare their Google ngram frequencies, as shown below. This is a common pattern. In the doublets listed in my earlier post, newer lince, forma, fabricar, delicado, and bestia have overwhelmed their older siblings onza, horma, fraguar, delgado, and bicha, though older limpio and habla still trump límpido and fábula. Ngram them yourself and have a look! This entry was posted in Uncategorized on 19 May, 2015 by jhochberg. Isn’t it more likely that “periscope” derives from “περισκοπέω”, “I look about”? Unfortunately the online OED isn’t free to us North Americans, but the DRAE says that “periscopio” is from “περισκοπεῖν” (the infinitive), which it defines as “mirar en torno”. Fred, thank you for catching the mistake. I’d rather make mistakes about English than about Spanish! I changed the example of ‘periscope’ to ‘introspection’, which is more correct (at least according to etymonline.com). You wrote, “Even though respecto is never than respeto, and seems more recherché, …” I think you left out a word. I’m eager to know what it was. You wrote that bestia has overwhelmed its older sibling bestia. Hmm, what do you mean by that? Bicha (as per previous post linked to). Nice catch!